Paradoxides gracilis, (1:1) 8 cm. 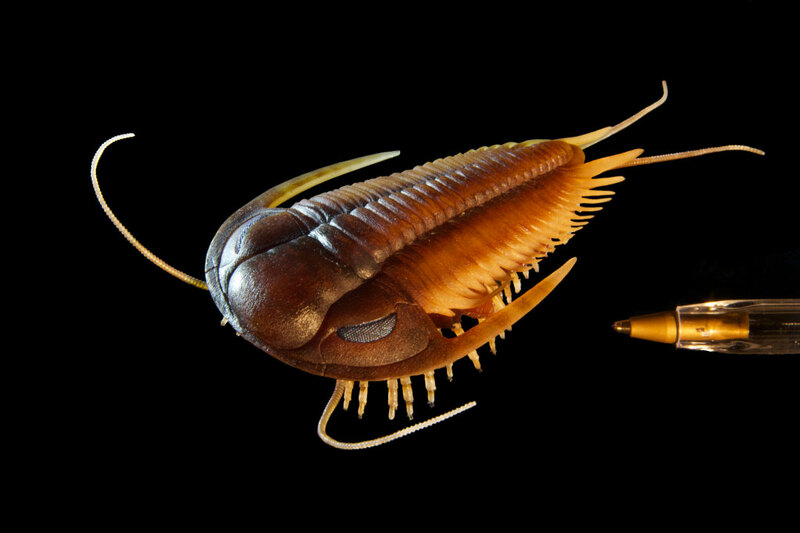 Paradoxides is a genus of large to very large trilobites found throughout the world during the Mid Cambrian period. 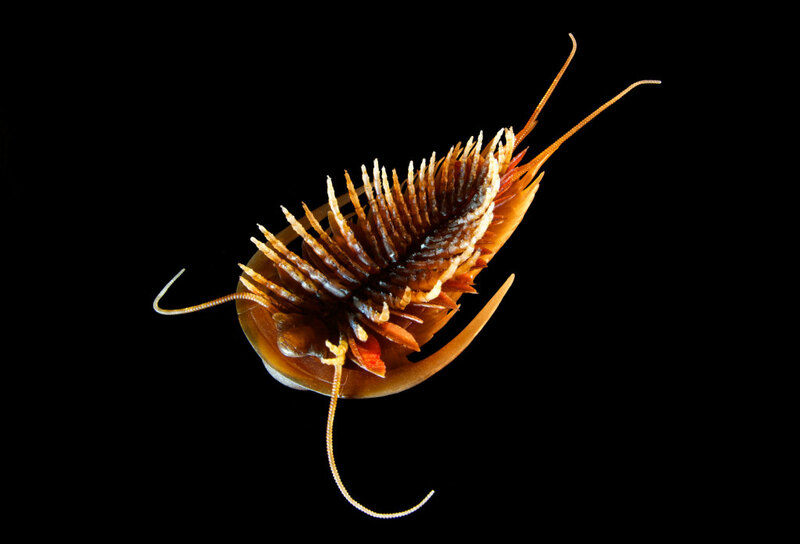 The exoskeleton of Paradoxides is large to very large, relatively flat, oval to inverted egg-shaped, and about one and a half times longer than wide, with the greatest width across the genal spines. The headshield (or cephalon) is close to semicircular with long spines developing from the corners of the cephalon. As usual in trilobites, the dorsal suture runs along the top of the eye. The articulate midpart of the exoskeleton (or thorax) consists of 19-21 segments. The axis is about as wide as each of the ribs. 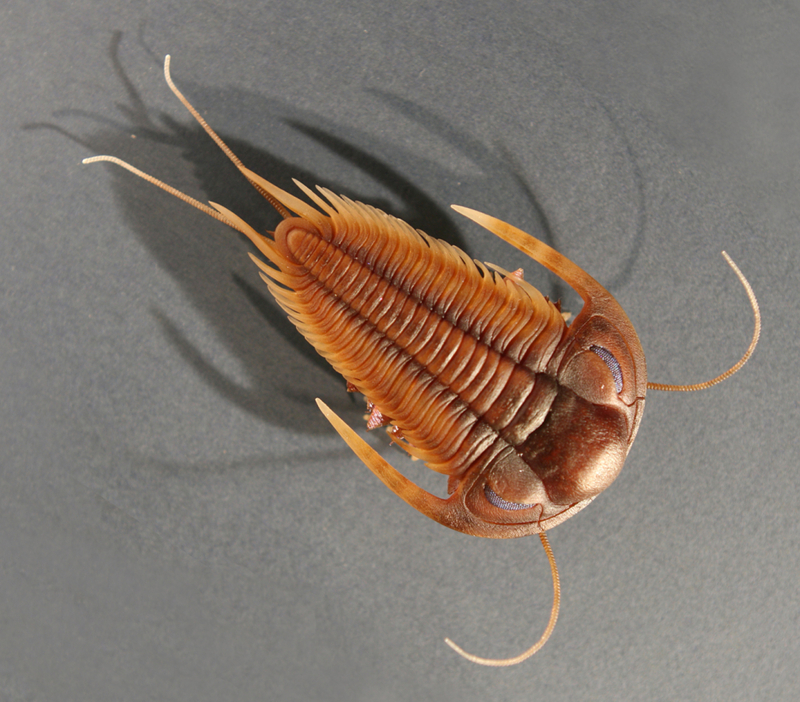 Like in many early trilobites, the thorax of Paradoxides consists of so-called nonfulcrate segments, that allow the animal to roll, just like a woodlouse, providing protection from front, rear, top, and bottom, while leaving access to the soft ventral side of the animal from each of the sides. Paradoxides gracilis is one of the earliest known Bohemian trilobites and was mentioned already by Ignaz von Born in 1772.